How do I invite contacts from Yahoo? If you are not signed in you will be asked to sign in to your Yahoo Account. Once signed in Yahoo will ask that you give Punchbowl permission to access your Yahoo! Contacts. Select "Agree". 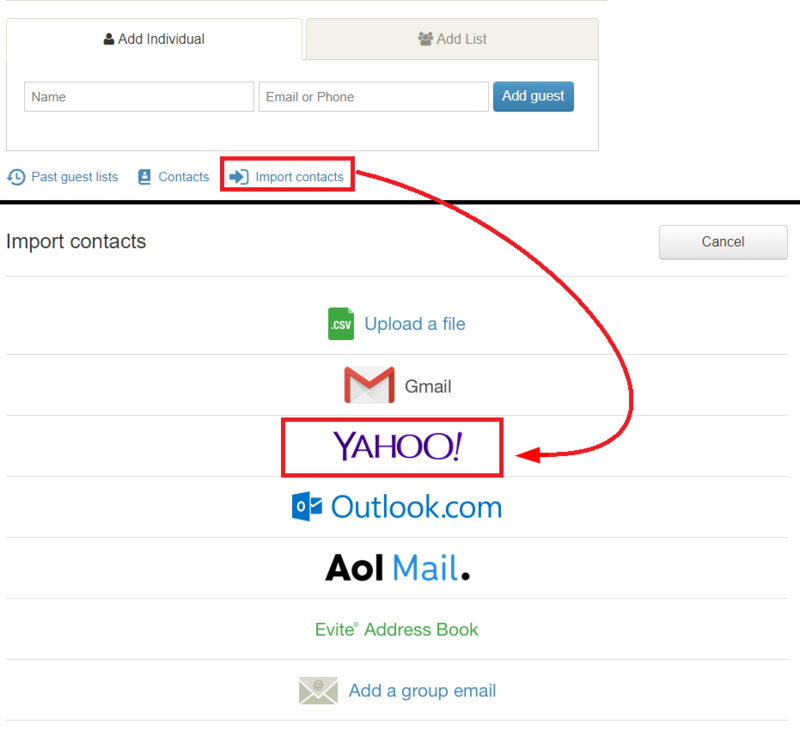 After allowing access we'll import all contacts in your Yahoo Address Book. After we have completed the import you can choose which contacts to add. Choose the contacts and click Add to list to complete the process. Having trouble? Try exporting your Yahoo contacts to a spreadsheet. In addition to the option of importing your contacts directly from your Yahoo account into Punchbowl, you can also export your Yahoo address book into a CSV file and then add that to Punchbowl. 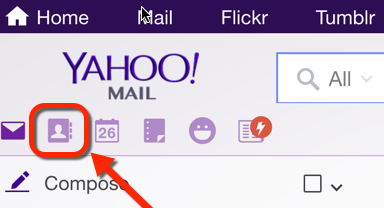 Login to your Yahoo email and click the Contacts logo in the upper-left corner (it looks like a book with a symbol of a person on it). On the next screen, click the Actions link and select Export from the drop-down menu. 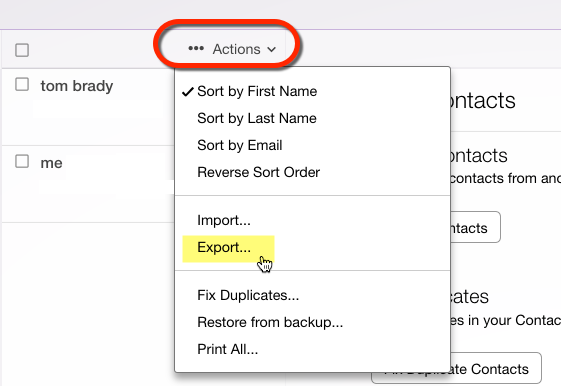 Choose Yahoo CSV and then click the Export Now button. 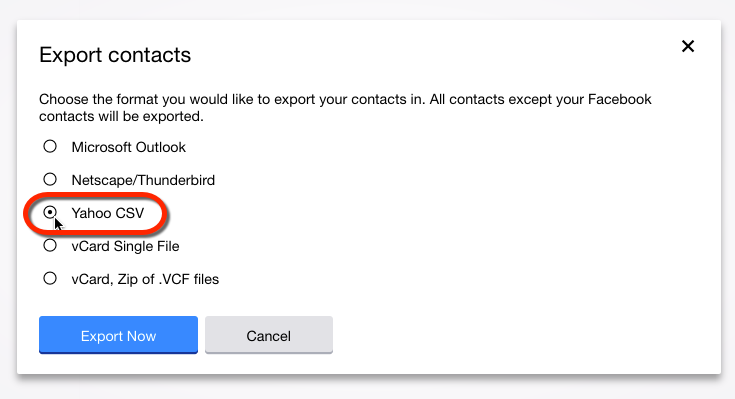 This will create a spreadsheet with all your Yahoo contacts which you can then upload to Punchbowl by using the Import Contacts option located on the Add Guests page. See here for more information on how to upload a spreadsheet. This feature is currently not available within the Punchbowl mobile app.